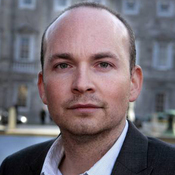 TD Paul Murphy has also said that Working Links, one of two companies behind Turas Nua – a body appointed by the Department of Social Protection to deliver JobPath services – has been accused of fraud in the operation of similar schemes in Britain. Murphy said, “Under the guise of labour activation measures pushed by Fine Gael and Labour, unemployed people have been demonised, victimised and have had their social welfare cut, all in the service of constructing a republic of precarity which drives people into the kind of low-paid precarious work which has become widespread. “The counterpart to that precarious unemployment is,” he said, precarious unemployment in the JobPath machine. Some 140,000 unemployed people have been turned into opportunities for profit for private companies. In the process and without significant debate, the provision of social welfare has been partially privatised. “I have spoken to a number of people who have been through JobPath. They say that they are not given any real training and they are just supervised while looking for jobs on a computer, which means that it is pointless travel for many. They describe it as demeaning, patronising and infantilising. The threat of having their social welfare cut by more than €40 hangs over all of their interactions with these private companies, which would leave people trying to survive on €150 or less a week. “Since JobPath was introduced, the number of people who have had these so-called penalty rates applied has increased from 5,000 in 2015 to 16,000 last year. That is in one year alone. Some 6,500 JobPath participants have had their dole cut. On the other hand, €84 million of public money has been paid to just two companies, SeeTec and Turas Nua. They get money each time someone signs a personal progression plan and they get paid job sustainment fees. Both SeeTec and Working Links, which is one of two companies behind Turas Nua, have been accused of fraud in the operation of similar schemes in Britain. Last October in the Dáil, Deputy Catherine Murphy raised a very serious case of fraud by SeeTec in Ireland. these private companies to get people jobs which they would have got themselves. fraud in order to protect the welfare budget for those who need and deserve it, particularly pensioners, the disabled, carers and people who are unemployed. 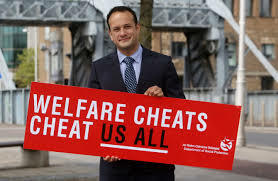 which is that he will stand over and double down on his rhetoric about welfare fraud, the Taoiseach gave the figure of €40 million two minutes ago, but his advertising campaign said €500 million. Which is it? Who is engaged in fraud here? The Taoiseach: “I said that even the lowest estimate is €40 million. I note the Deputy has not refuted that. Previous PostAbsence of jobs led to 7,000 having to leave Donegal – PringleNext PostTD warns ambulance service in North West unable to cope with call outs.